For all the talk, research and white noise about sustainable cities, some seriously low hanging–yet extremely important–fruit, are often not addressed: Old buildings and their energy consumption. 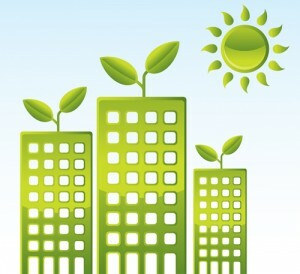 New buildings are more likely than not to have some type of efficiency features. Not all, but it’s more likely that they do compared to the oldest buildings that hold the history of our city. Well, count that assumption out as of 2013. Yesterday, Mayor Bloomberg and City Council speaker Christine Quinn, announced plans for a few pieces of legislation that will regulate energy consumption, drastically reducing use by some of the city’s oldest and largest buildings. Nationally, buildings account for about 30 percent of green house gas emissions and locally, here in the Big Apple, it is more like 80 percent. And considering that the majority of New York City’s land that will ever be developed is already developed, it seems appropriate to think about existing structures. New York City will get its first energy code, requiring all of the city’s one million built structures to meet energy efficiency standards of the time. Buildings that are 50,000 square feet or more will be required to run energy audits every ten years, to make sure they are in compliance and make adjustments accordingly if they are not. This has some property owners not so happy. Essentially, they feel that the city is trying to bring in their own auditors to make decisions for them on how best to run their buildings. And for good reason. They are. I was shocked to see that the city has included a five year pay back period clause, which states that if any retrofit will take longer than five years to repay, it is not a required upgrade. The city plans to put $16 million of federal stimulus money into a revolving loan fund to help building owners with their upgrades. This is a mere fraction of the $2.9 billion of private investment that will go into these upgrades, which might be at the heart of the property owners’ gripes. And considering credit is a bit tight right now, there are legitimate questions to ask about where the financing might come from. So the $750 million in savings from energy related costs for home owners seems distant. But that is not a one time savings. It’s annual. Onward goes the greening of New York? Recession or not.